When five-year-old Jack saw bruises on his mum Sally’s arm, he knew exactly who was responsible. It was his dad; the same person he had seen push, slap and punch his mum countless times before. That night Jack set up his superhero toys around his mum’s bedroom, with orders to save her from the abuse she endured. But it wasn’t Superman who finally came to their rescue. It was yourtown, and our Domestic Violence Refuge team. The Manager of our Domestic Violence Refuge, Karen, recalls Sally’s story in vivid detail. “To begin with, the abuse Sally suffered was largely psychological. Her husband believed that a wife should put her husband before herself, her children and all others. He controlled their finances, told her what to eat, stopped her from seeing friends—basically demanded complete obedience from her. “Over the last couple of years, the threats of violence increasingly became actual violence. Where once he used to grab her, he began to push her. Then the pushes turned to slaps, and eventually the slaps became hits and ultimately turned into non-lethal strangulation. Sally had tried so hard to keep quiet as she took the abuse handed out by her husband, to protect her children, so as to not add to her children’s distress. But there was little in the end that she could do to protect them. And that was brought home to her the day Jack saw her bruises and arranged his superheroes about her room, in a heart-breaking attempt to keep his mum safe. Karen believes that it was this realisation that finally led to Sally summoning the courage to reach out for help—despite fearing that her children would be taken from her. “Sally was referred to us by a domestic violence service who had been supporting her. She was trembling when we collected her and her kids and drove them to their new home at our refuge," Karen said. Our Domestic Violence Refuge consists of seven family homes set in lush countryside. It is a haven of peace, where people like Sally and their children can heal hearts, and at times, broken bodies. Families are also given access to all the emotional, practical legal and medical support they need in order to rebuild their sense of worth and their entire lives. We have counsellors on site for both adults and children, and offer more than 20 different workshops for mums to attend, on such subjects as forming healthy relationships, navigating the legal system, attachment parenting programs, housing, and financial and digital safety. But like all our services for vulnerable young people, our Refuge depends on donations to exist. Please help our Domestic and Family Violence Refuge team continue to offer safety, healing and support to vulnerable young people like Sally and their children. Your support helps keep mothers and their children safe from violence. This remarkable image was painted by Sally in a therapeutic program offered to her in refuge. 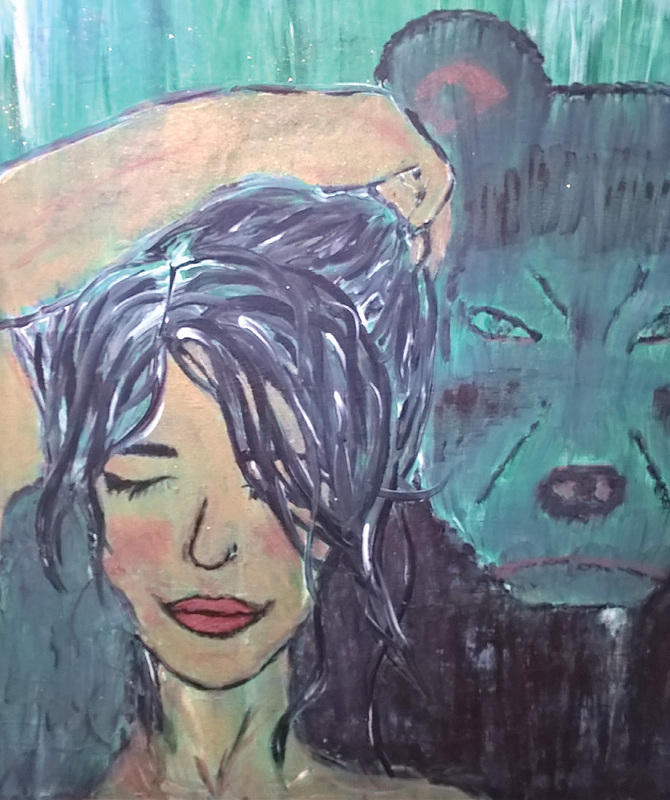 The bear symbolises the inner strength that Sally has found since living at our Refuge – and her fierce determination to protect her young children from her husband and anyone else who might seek to do them harm. 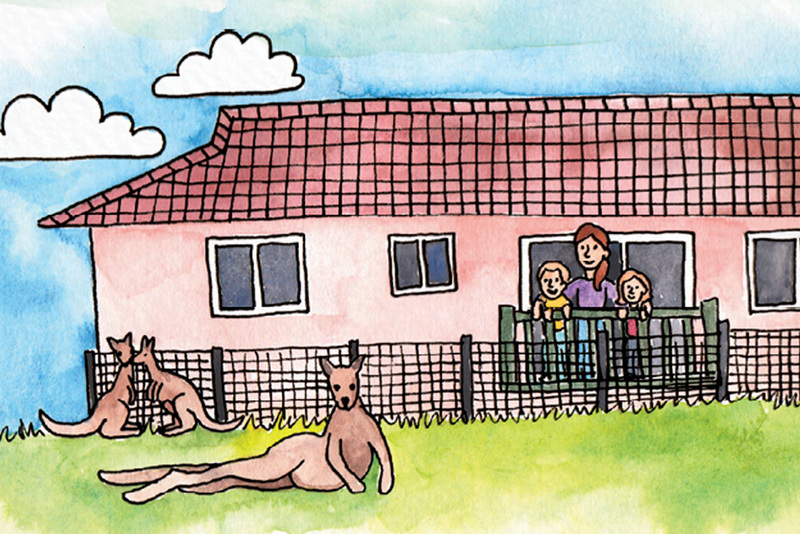 Our Domestic Violence Refuge is a peaceful haven that only the local kangaroos know how to find. 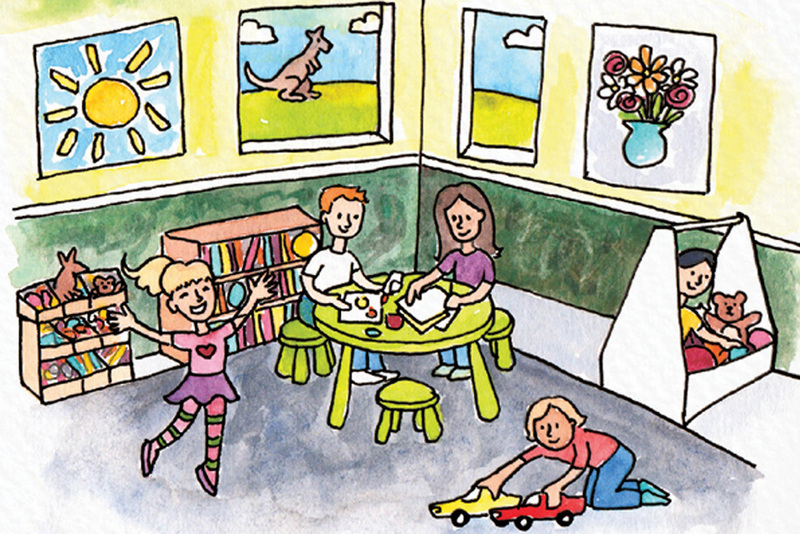 Toys and fun communal spaces help children learn how to be kids again. 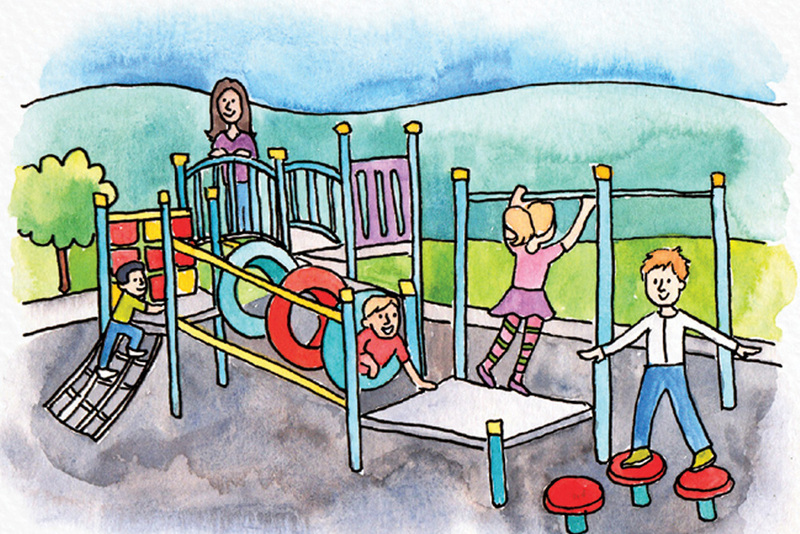 There's loads for everyone to do at the Refuge, and the children love our playground equipment.